You can join me on all kinds of exciting and creative adventures. Have a look around en have hours of fun with the hundres of activities you can find on this site. You don't know me yet? Let me introduce myself! Good news for ALL site visitors: Free access for everyone to ALL content on the site. Login with user: chiggy and password: chiggy. Login now via the green 'log-in' link in the top right of this page. Have fun ! 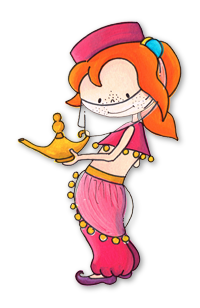 A new adventure has been added to the site: Chiggy as a Persian dancing Princess. Follow the link and find out this latest adventure of Chiggy ! 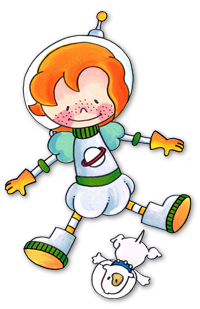 You can already join me on adventures where I'm a Princess, Witch, Pirate or Astronaut, and in the future even more adventures will be added. Do you have a good idea for a next adventure: join one of multiple contests and win great Chiggy prizes! 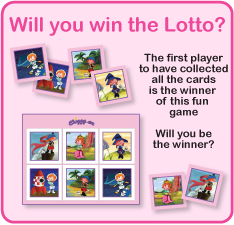 Every adventure comes with 100+ activites that you can do on your computer, or print and do off-line, such as coloring, crafts, games and if you're a fanatic we even have math exercises in the learning section. But you just arrived: start with something fun ! The greatest masks you'll find here. One for every adventure! 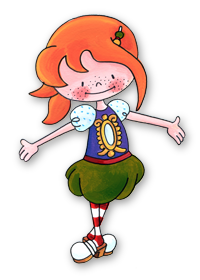 So do you also want to be a princess, a pirate or an astronaut for a change > click on the pictures and print them ! 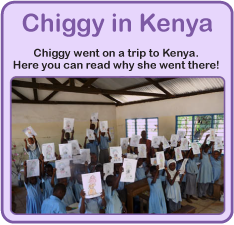 - Chiggy went to Kenya recently! Find out what she did overthere ! - Do you want a Chiggy party? 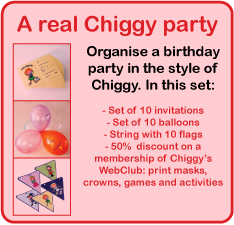 Buy great party products like invitations, ballons and flags ! You can print various board games to enjoy Chiggy also away from the computer. Play with all your friends ! You can become a meber of my WebClub to get access to a whole lot of axtra activities. Some of the activities can also be bought in the WebShop ! You can also join the contests so you can win, in stead of buying them !